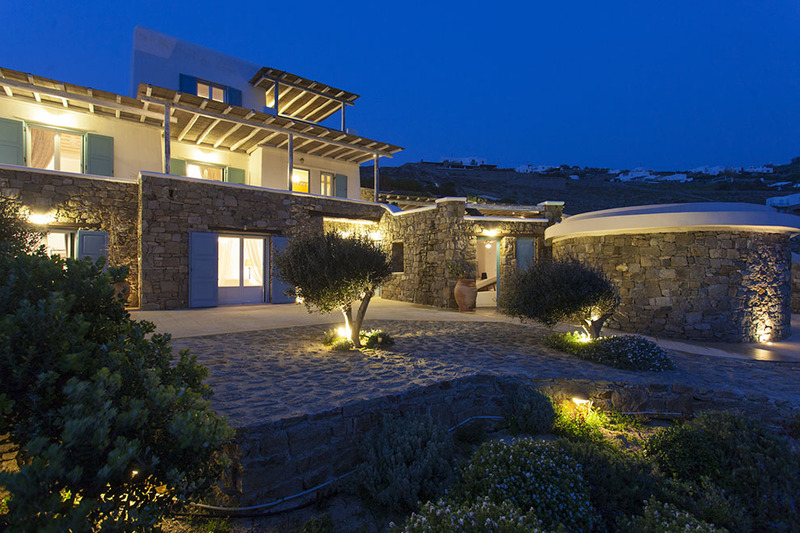 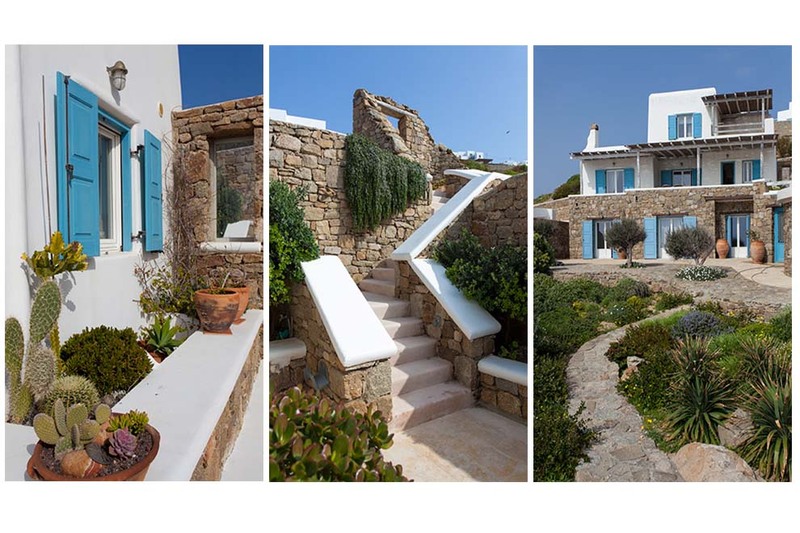 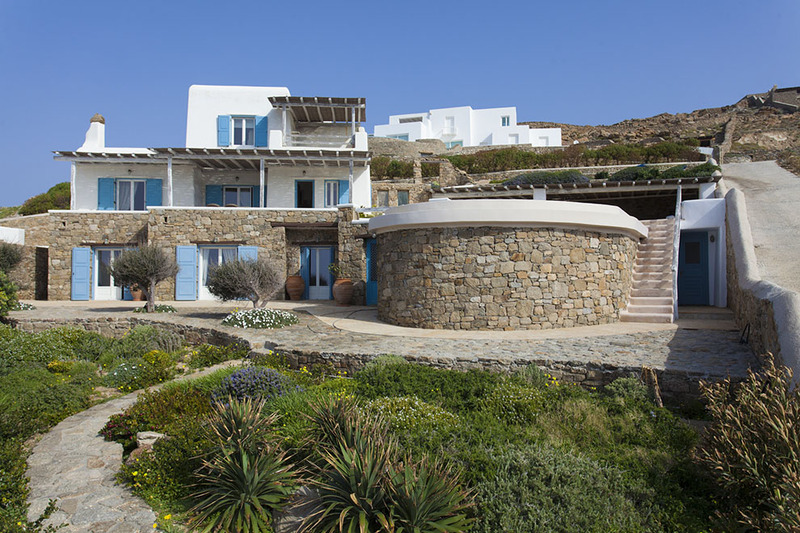 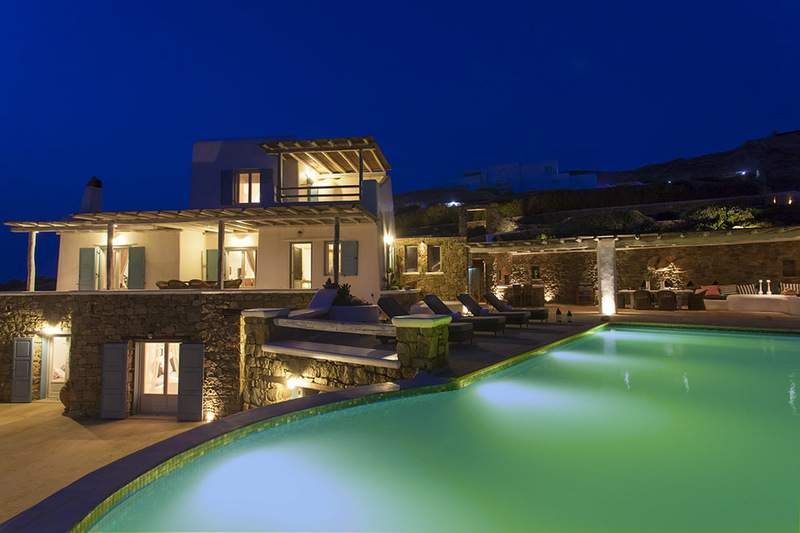 Villa Le Ciel stands on a most noticeable position on the top of a hill in the west of Mykonos in the “Houlakia” area, enjoying the impressive view of Mykonos amazing sunset and the endless blue sea. 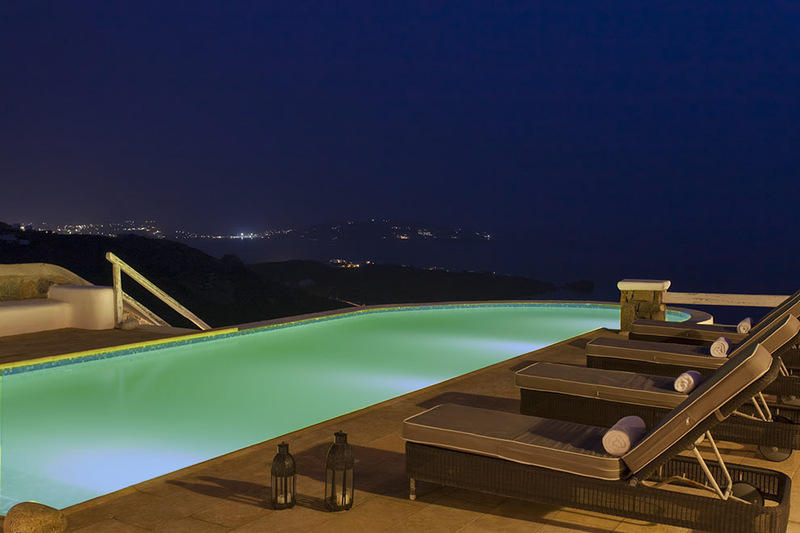 The view offered, fascinates guests especially in the evening hours at sunset when dreamlike colorations are created in the sky as the sun sets into the Aegean. 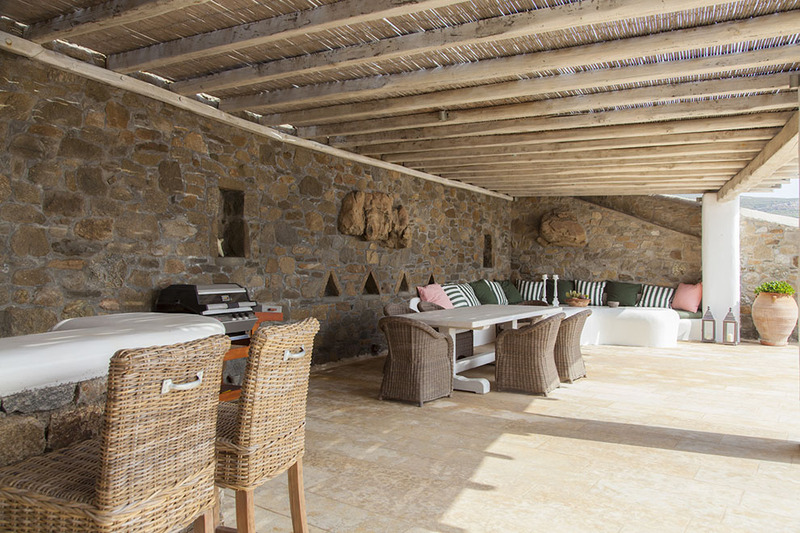 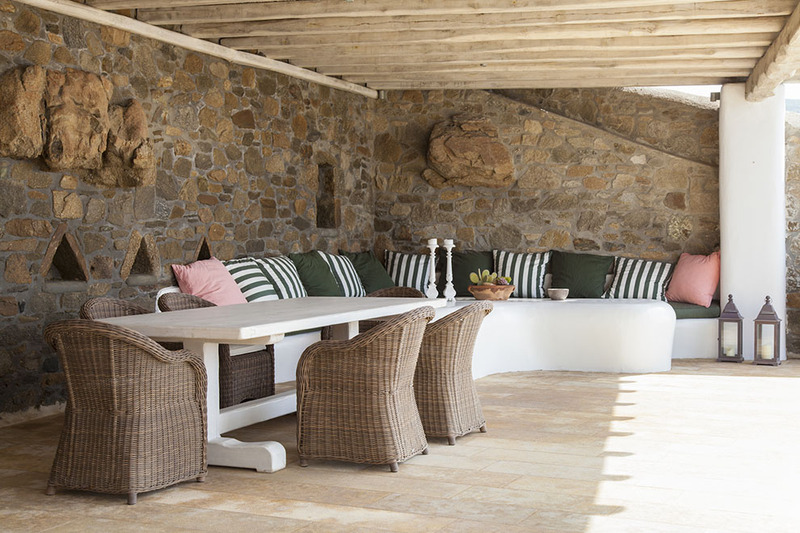 Villa Le Ciel is an outstanding combination of wood, mixed with natural rocks, creating a modern-classical cosy atmosphere. 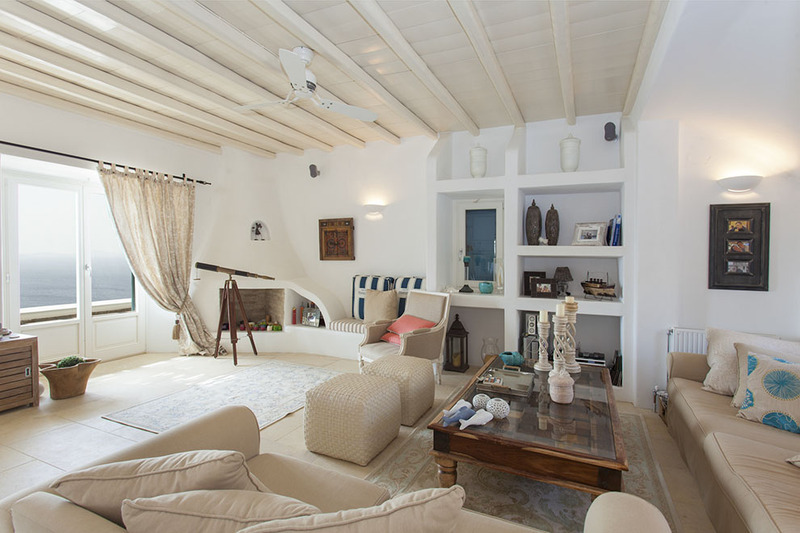 The interior is divided in three floors. 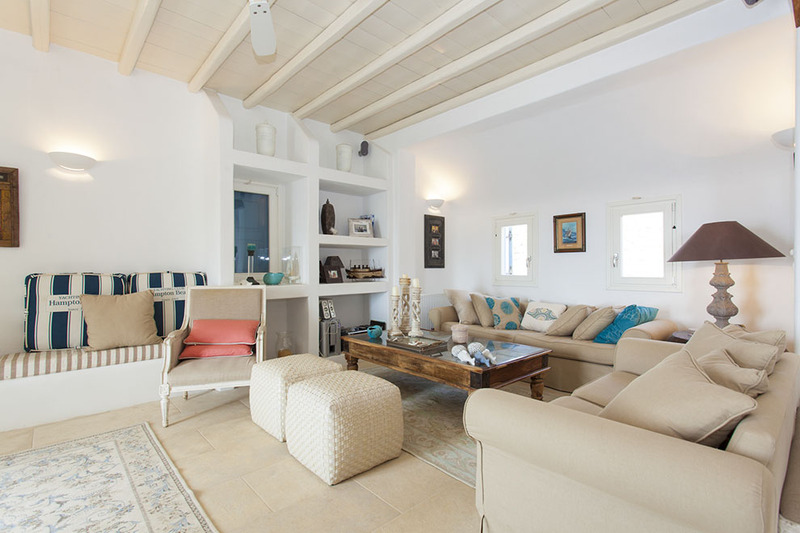 In the ground floor there are three bedrooms allowing guests to have easy access to the exceptional outstanding pool surrounded by comfortable sun beds. 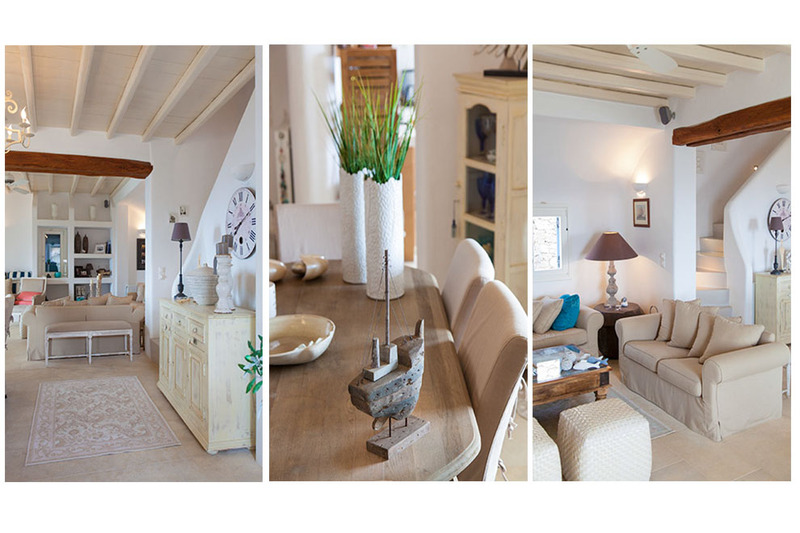 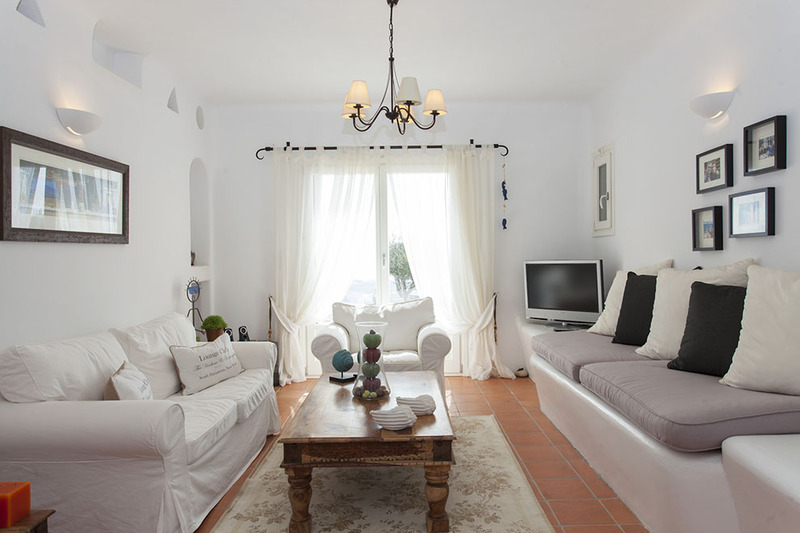 In the first floor we can find a spacious living room decorated with an elegant modern style and classical details, kitchenette and two bathrooms. 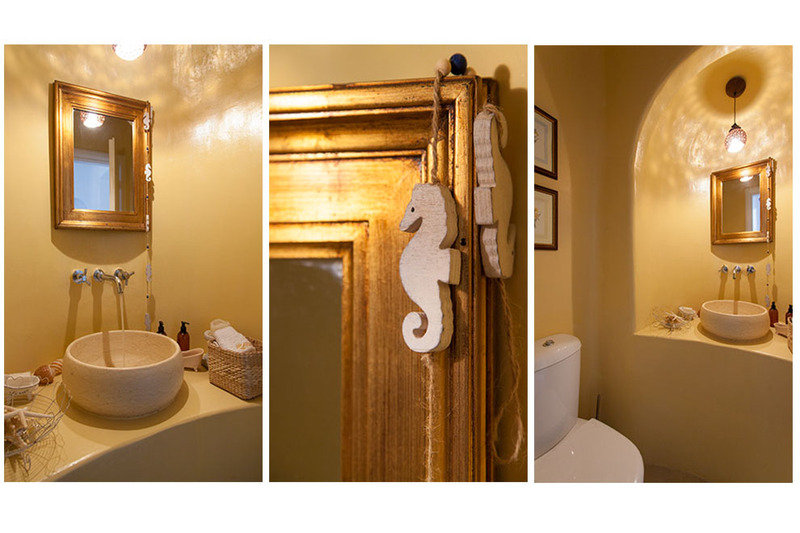 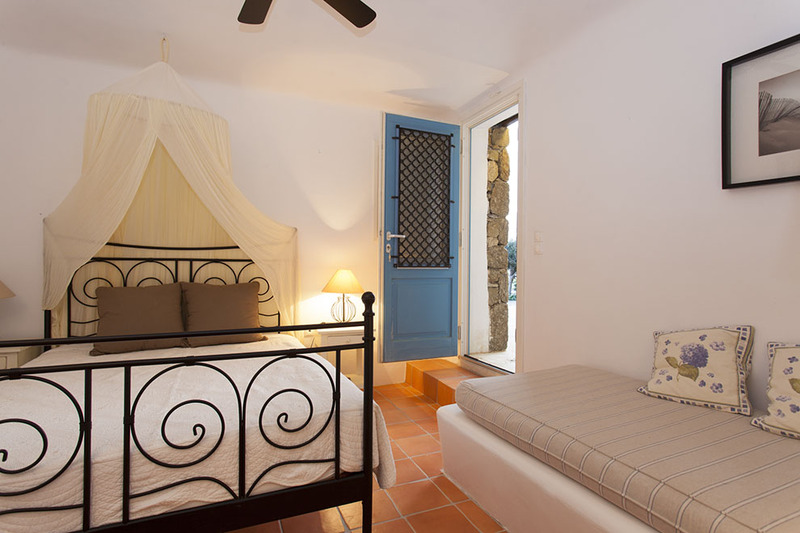 In the second floor there is another perfectly decorated independent master bedroom providing ideal relaxation moments. 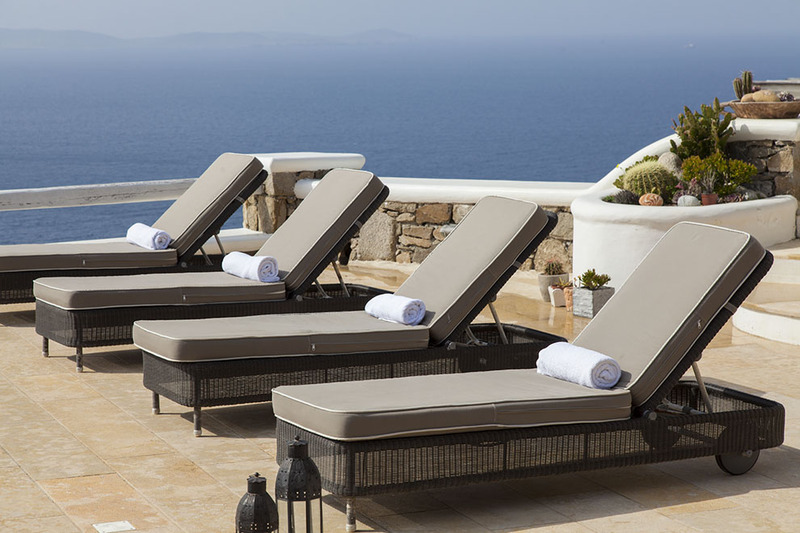 The infinity pool area of impressive dimensions is equipped with comfortable wooden sun beds which are ideal for endless hours of sunbathing, swimming and entertainment, thus completing an excellent environment for pleasure and relaxation. 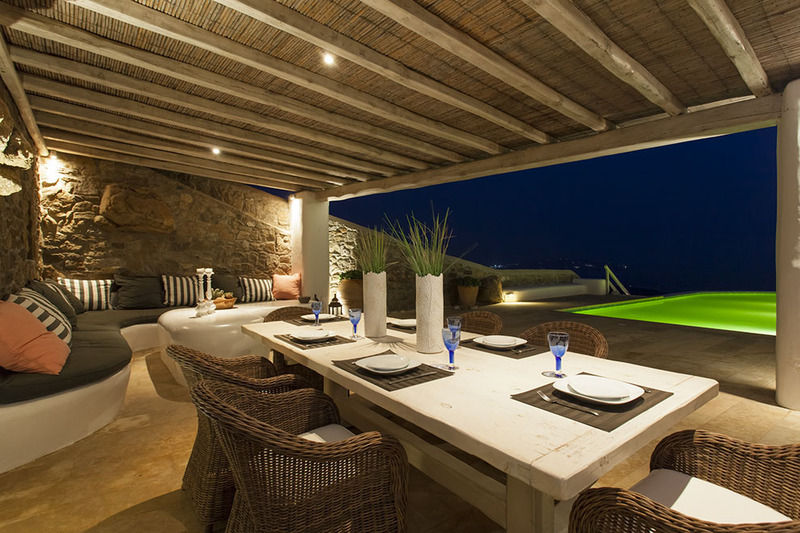 In the outside environment the infinity pool escorts the pool bar, the outside table for relaxing dinners as well as the barbeque. 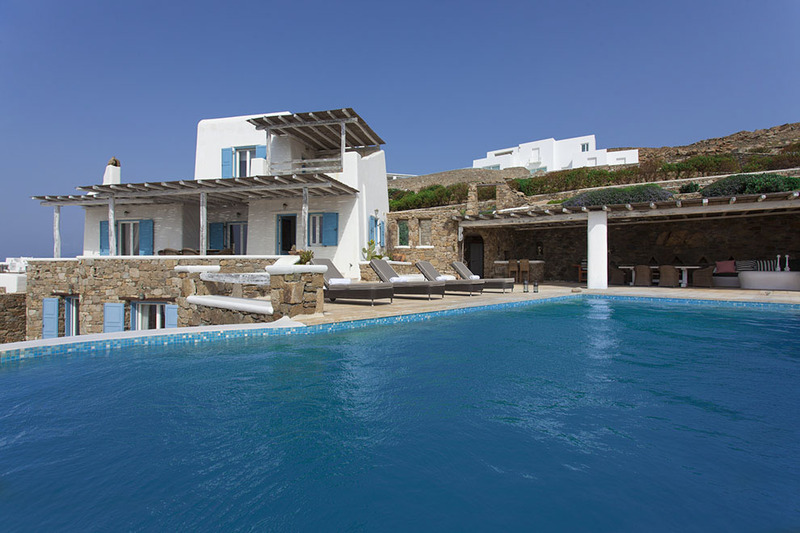 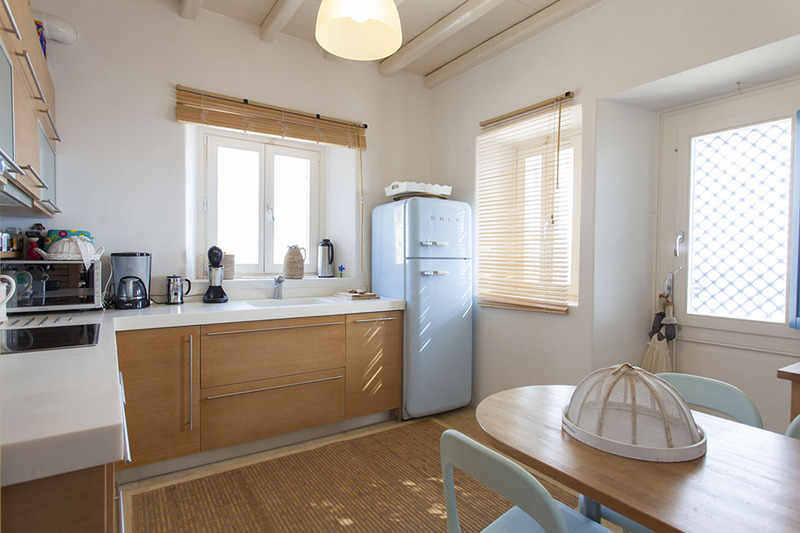 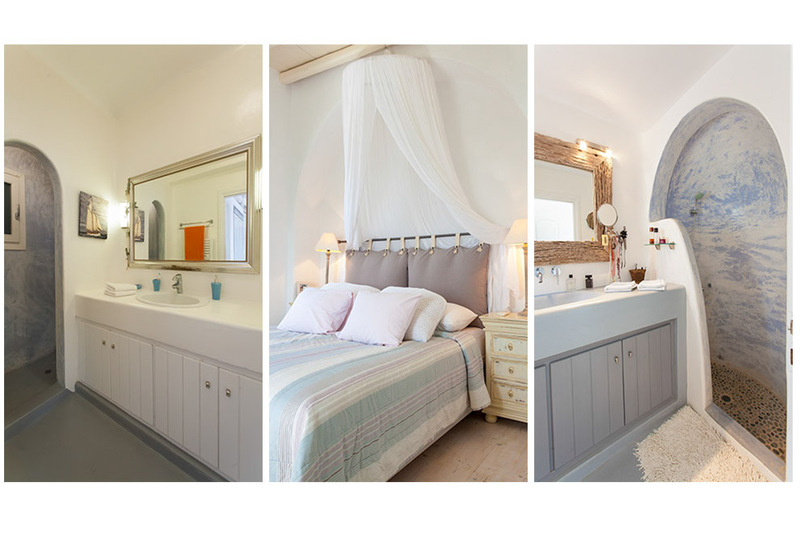 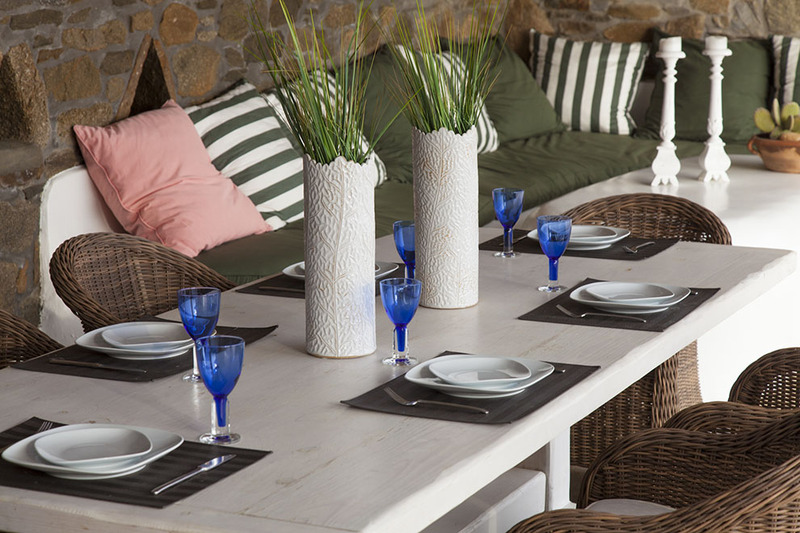 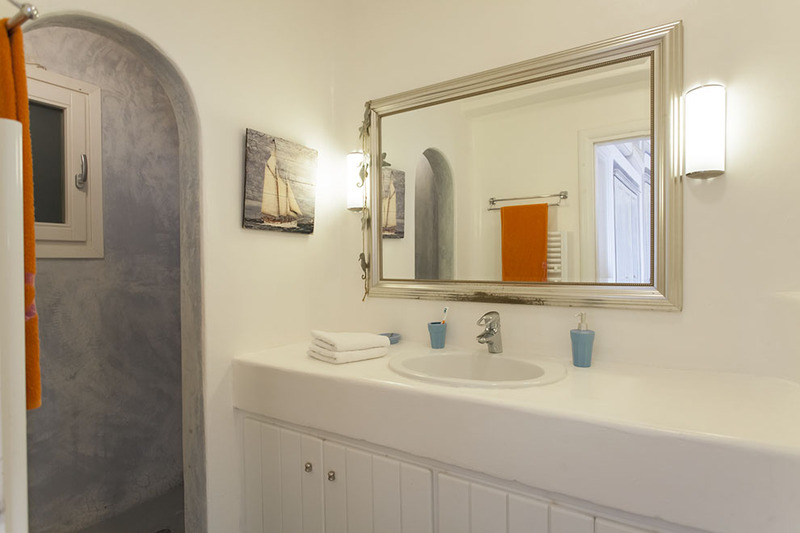 Villa Le Ciel is suggested for people who want to enjoy a beautiful relaxing environment while being located in really short distance from Mykonos Town at the same time.